British designer Jonty Sherwill, of Sherwill Design, uses Ashlar-Vellum™ Xenon™ CAD and 3D modeling software to conceptualize new products, packaging and interiors. 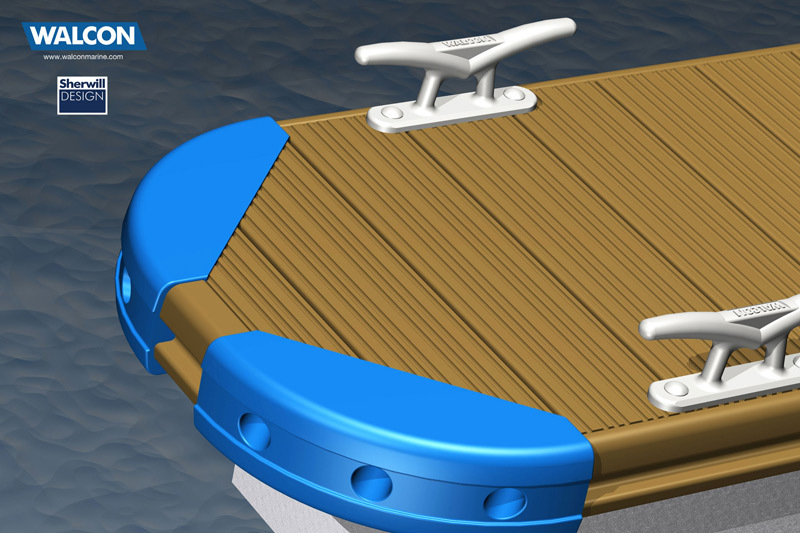 In a career spanning thirty years in consumer and capital goods, transport interiors and yacht styling, finding an advanced CAD design package that offered as much fun as freehand sketching seemed an impossible dream. But Ashlar-Vellum delivered what was needed: an affordable 2D and 3D development tool with the ability to generate stunning visuals quickly. I think one of the great attractions of this type of interface in this sort of software is that you’re not having to make dimensional commitments early on. You can pull and push and play around with the thing which makes it a more creative process. Because design has got to be a creative thing, and the minute you’re constrained it gets boring and then you lose your spark. See more of Jonty’s work on his website. 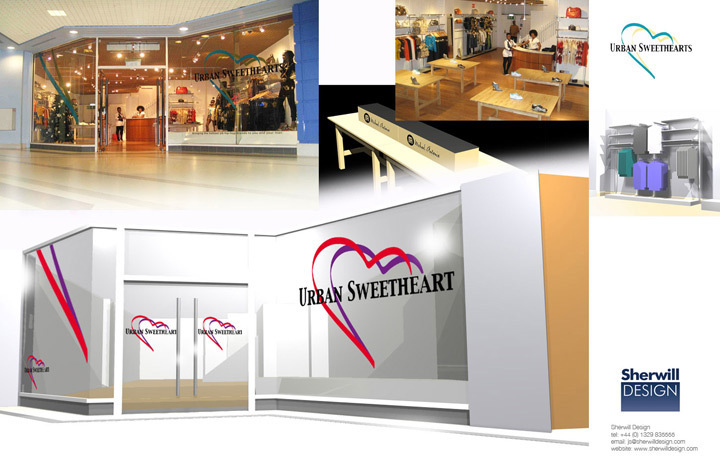 This retail concept was developed in Xenon 3D modeling software then composited effectively into the environment using Photoshop with great visual impact for the client. 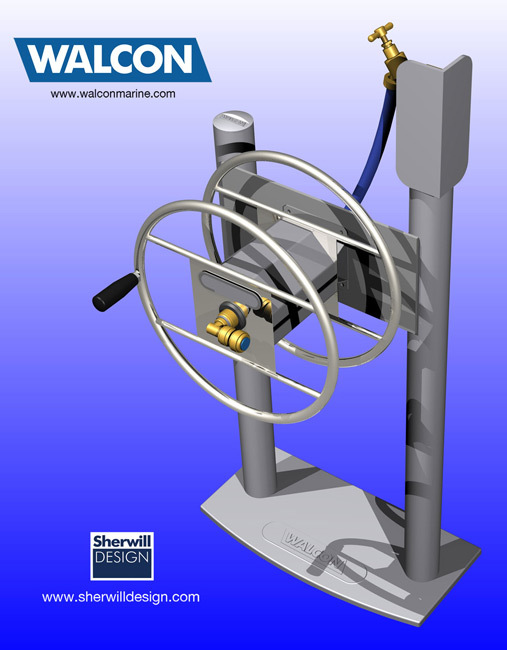 Sherwill’s passion for sailing made him an excellent designer for Walcon Marine including these dock fenders, cleats and hose reel. 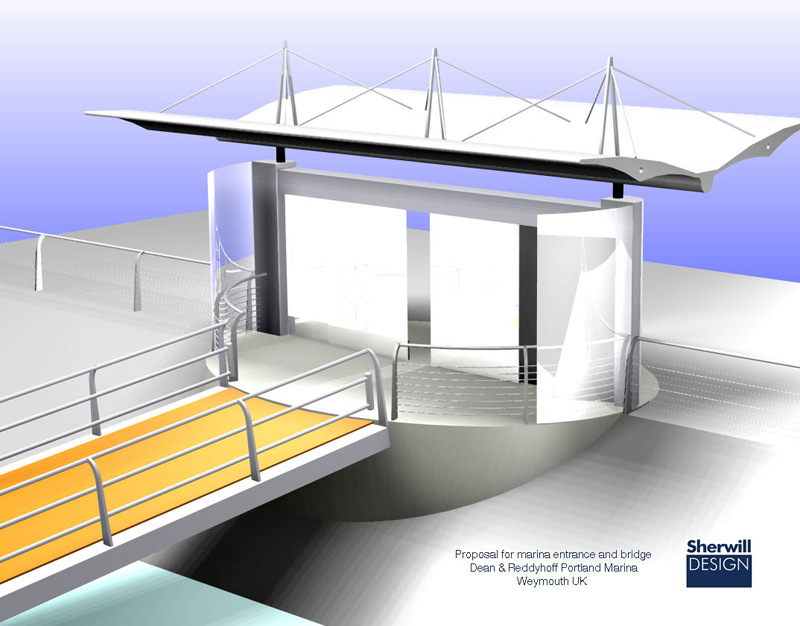 Sherwill proposed this entrance and bridge for Dean & Reddyhoff Marinas.